One of the very fortunate side effects of turning your passion into your profession is that your “work opportunities” start to resemble the things you would choose to do in your play time anyway. 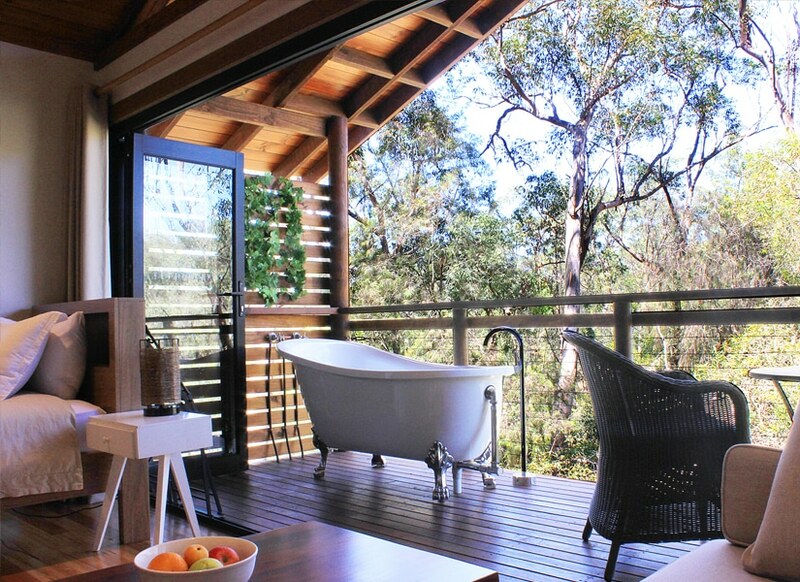 Last week, Nic and I headed to Sydney for a few different commitments conveniently timed to allow us to accept an invitation to the beautiful Billabong Retreat in between. Just 45 minutes out of the city, we took an easy train ride from Central to Vineyard where we were picked up and driven a quick ten minutes to what seemed a million miles away. Within moments of arriving, the craziness/pressures/overstimulation of daily life had already started to melt away. 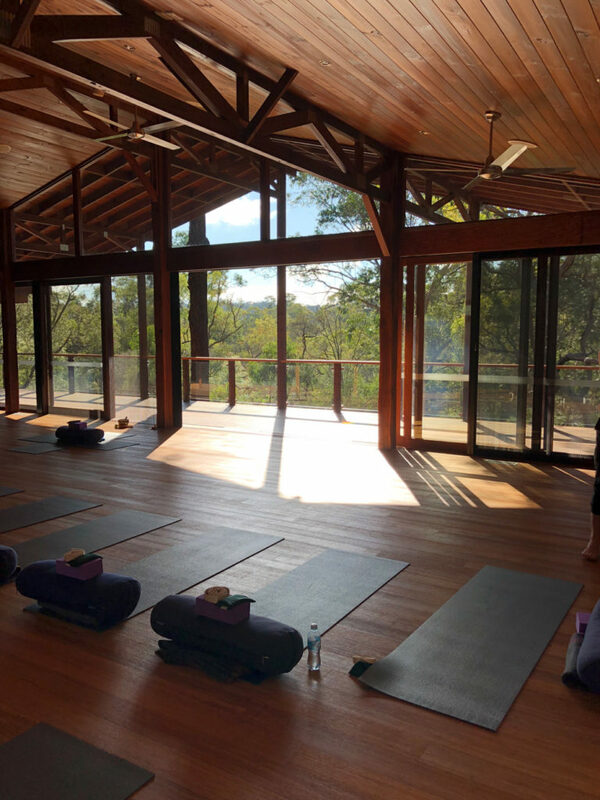 There are a variety of different retreat programs at this stunning thirty-bed eco yoga retreat and we were lucky enough to experience the Wellness Essentials program (running Wednesdays to Fridays). Our two-night-three-day stay felt like it extended for weeks – isn’t it funny how time can extend itself when you remove all the distractions and noise? Unfortunately, we weren’t able to experience the signature Treehouse Cabins that are such a stand-out part of the retreat due to our need for wifi (although I promise we worked far less than usual). Instead, we stayed in The Lodge on the other side of the Billabong which made for a lovely walk each morning and was still quite comfortable (despite the single beds which we haven’t experienced in a while, but which was actually quite fortunate given Niccy was struggling with a bit of a cough at the time). So what does one actually do on a yoga retreat? 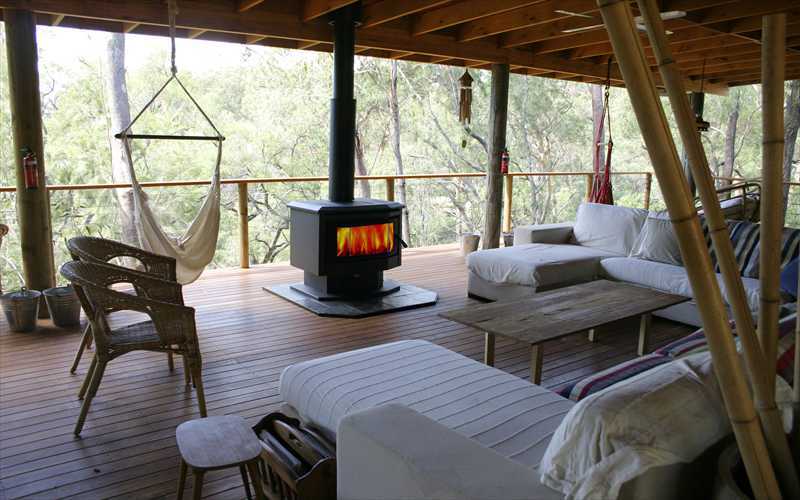 There was ample free time (which is harder to come by at more intensive retreats and feels to me a bit like a school camp) so you could explore the beautiful natural surrounds, book massages/sauna/other treatments, enjoy the outdoor magnesium pool, read or zone out. None of the activities were compulsory either and we were free to join for as much or as little as we liked, so Nic and I skipped a few sessions to counter our serious sleep deficit or smash out some emails (or, in Nic’s case, when things got to “woo woo”). This flexibility is important in a retreat I think to cater for the very diverse purposes that attendees will have in being there. But with experts coming in to share their wisdom on gut health, digestion, nutrition, mindfulness and stress management, you wouldn’t want to miss most of the activities anyway! And then, there’s the food. I always get food anxiety in situations like this worrying if there’ll be enough for my monstrous appetite but also options to accommodate my inconvenient intolerances etc (the only area in which I’m a bit high maintenance). But it was some of the most delicious, home-cooked, nourishing food I’ve had in a long time with lots of different elements to each meal carefully thought out and executed by the wonderful chefs. The menu was all vegetarian, but if you’re thinking rabbit food, you’d have been blown away by the hearty, flavoursome and yet still healthy food prepared each day. With a hero main dish, multiple options for sides and a dessert for each meal of the day plus afternoon tea, I’ve not been less hungry between meals in a long time (which is saying something). Finally, the retreat is very eco-friendly which was another lovely element to our stay. 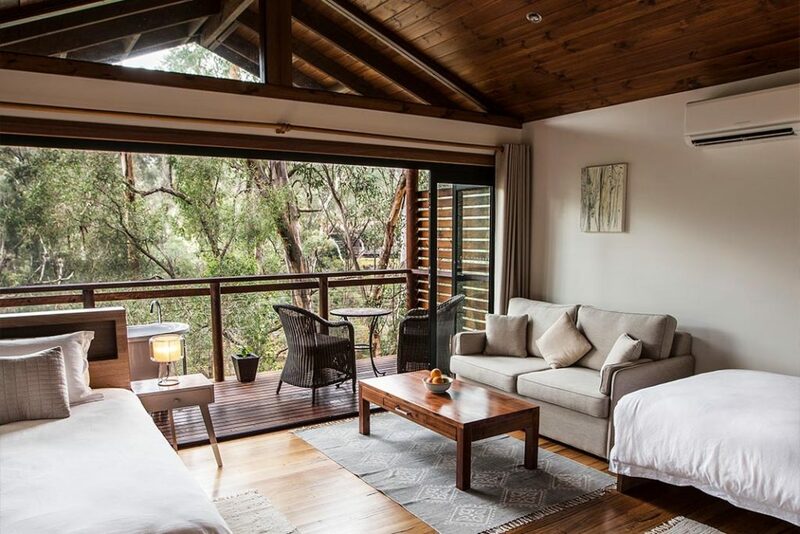 It’s not a luxe, swishy retreat if you’re looking for a “resort” vibe, but it’s beautifully homely and natural which had a really nice grounding effect on me. What I think a lot of us lack isn’t necessarily addressed by beautiful hotels and manufactured environments (as much as those ARE a bundle of fun) but an increasing distance from nature and what is natural and I loved this experience for that. It is self sufficient for water and waste disposal and they operate a bio-pod worm farm waste water system. They also have a solar hot water heating system and a grid connected photovoltaic electricity generating system. They aim to minimise recycling and landfill waste and compost all food waste. What a bunch of legends! As always happens to me when I slow down, I was hit with revelation after revelation about my life, my decisions and my direction. Most are still marinating around in my head but, again as always, the main one is how I need to do things like this more often because of how much growth happens when you give yourself the chance. There is nothing quite like uprooting yourself from your daily routine to be able to look at it from a distance and make changes to enhance your life. And the best part with a place like Billabong? You don’t even have to go very far to do it! 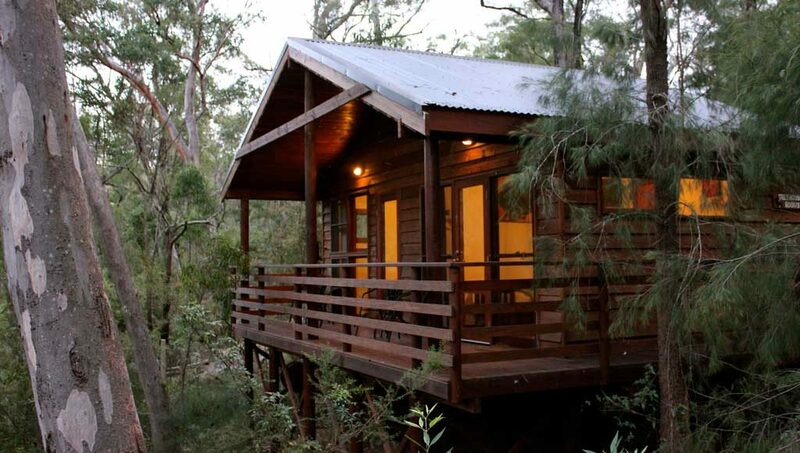 Just 45 minutes from town and you feel secluded and distant in the best possible way. Even from Melbourne, it was hardly a trek with the airport train to the city. I would highly recommend this for anyone looking for a few days of restoration. Very grateful to have been able to visit!